Porlock Weir, Exmoor, 1361. 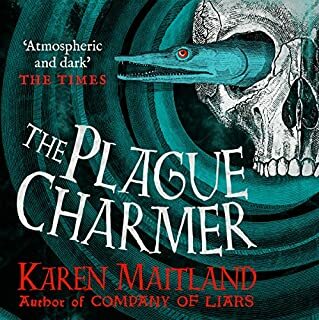 Thirteen years after the Great Pestilence, plague strikes England for the second time. Sara, a packhorse man's wife, remembers the horror all too well and fears for the safety of her children. Only a dark-haired stranger offers help but at a price that no one will pay. Nineteenth-century Europe, from Turin to Prague to Paris, abounds with the ghastly and the mysterious. Conspiracies rule history. Jesuits plot against Freemasons. Italian priests are strangled with their own intestines. French criminals plan bombings by day and celebrate black masses by night. Every nation has its own secret service, perpetrating forgeries, plots, and massacres. From the unification of Italy to the Paris Commune to the Dreyfus Affair to the notorious forgery The Protocols of the Elders of Zion, Europe is in tumult and everyone needs a scapegoat. But what if, behind all of these conspiracies both real and imagined, lay just one man? What if that evil genius created the most infamous document of all? This book claims that, with one exception, all the characters actually existed in real life. My grasp of European history is not wide enough to know whether this is true but I certainly recognised a lot of people. 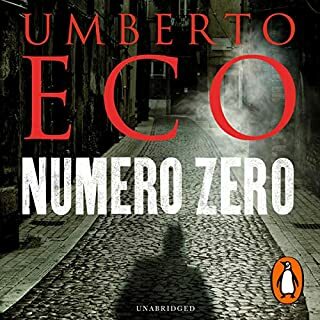 However, that aside, Umberto Eco is a fantastic storyteller and this book is one tall story set against the backdrop of one of the most turbulent periods in recent times. 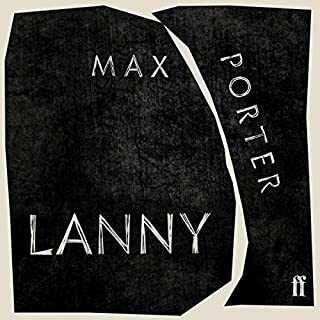 His central character is Simonini, who tells us his story from a room in Paris where he has chosen to lock himself up and travel back over his life. This takes us to Italy and Prague, to the Paris Commune and beyond to the Dreyfus case. We meet with Freemasons, secret agents, Jews, priests, revolutionaries and all sorts in between. I often feel that Umberto Eco makes stories complicated just for the sake of it and there are points in this story where you wish he would just get on with it. But this is a minor criticism of a fun read. The narrator adds to the enjoyment, capturing different voices and the excitement of discovery. 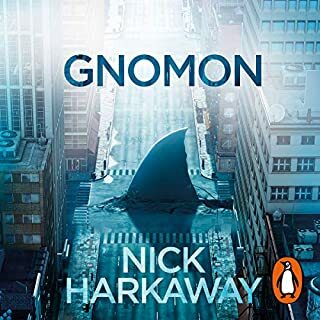 Although a little heavy in places due to its unrelentingly grim theme; its dark humour, intelligence and relevance to todays issues of media and political manipulation, scapegoating and state power make it a worthwhile read. Umberto Ecco's literary style and insight are unbeatable. Taking up the challenge of having read and enjoyed La Misteriosa Fiamma della Regina Loana and taking serious enjoyment from Six Walks in the Fictional Woods oI have to say initially that I absolutely loved Eco’s words of fiction. 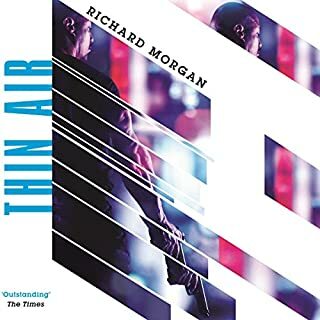 Like some of the reviewers, I felt a little bit queasy about some of the language used in the novel towards the fictional targets of the fictional polemic. Lots of easy assumptions and old lies roll off the same pen as the wonderful lists and insights into a whole range of historical events. Like Queen Loana this is a children’s compendium of lots of old characters, narratives, ideas, fears and laughs rolled up into a huge ball of a book. Everyone gets it and the underpinning hookum, that the world is run by the religious is still all too pervasive in our day to day secular lives. We all search for meaning and connections and where there are none we’re happy to see them in whatever nonsense we are fed. This is nonsense - troubling and distasteful at times, but nonetheless nonsense of the highest order. What next for Eco - the Nobel Laureateship? Well maybe if he were to write something a little more conciliatory to those dark figures standing in the shadowy corridors where such decisions are made behind closed, locked doors. Not for the first time Umberto Eco reader! 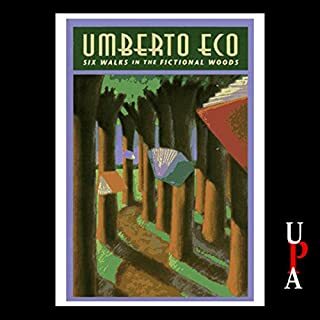 I had heard great things about Umberto Eco and this book was highlighted as a good read in Waterstone and Amazon. Never having read Umberto Eco, I really didn't know what to expect. I wasn't surprised at the slow start, but that slow start got longer, the tale got more complicated and i got confused. I suppose I am not the only person who will get confused but I did finish the book. Used it while I power-walked. The tale has a lot of irrelevant dat - it reads likes a recipe book in places. Does it hold the attention? Is it a page turner, no and no. I felt that the tale was over complicated and I really didn't see the point of some of the subplots. 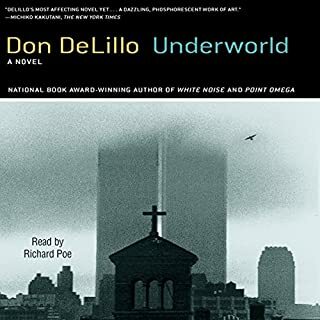 I also thought that the only chapter which stood out , no in fact there were two chapters, was the one with the black mass - maybe Umberta wanted to through in some spice to keep his readers interested and the last chapter, which is also the shortest. I won't spoil the story by telling you about the last chapter, but for me if that chapter had been the first I would have had more interest in the story. Maybe the book is only for fans of Eco. 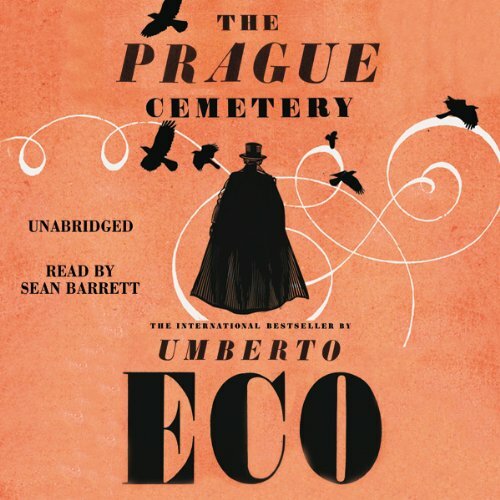 Sean Barrett delivers an array of characters in an epic reading of a book set in an exotic context but so very revealing of our current political and cultural machinations being mostly out of our own hands..
Where does The Prague Cemetery rank among all the audiobooks you’ve listened to so far? 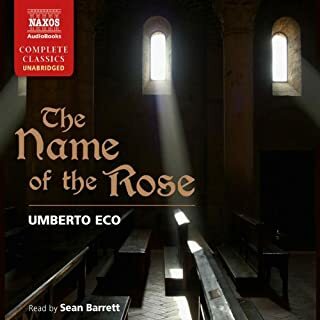 A very good book from Umberto Eco the master, I read it in paperback once it came out and enjoyed it so much I got the Audible version. 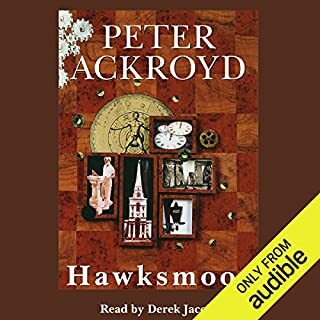 The narrator is excellent, reading with emotion and prose. Thoroughly enjoyed it. 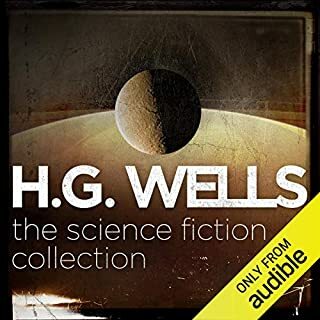 The issues of conspiracy are explored in this novel as in other of Eco's novels, and that makes for interesting reading/listening. Many actual historical personalities weave through the dialogues and recollections of a rather nasty protagonist. 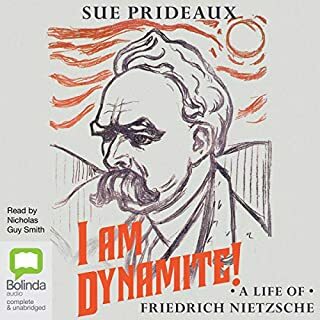 As Freud is a new bloke on the block at the time this is located, it is a delight to learn the recollections are coming from two 'alters' of the same man. A master of disguise and writer of fraudulant wills, and a priest are each writing their memories and experiences, and begin to communicate with each other through their journal. At times it is hard to follow. I suspect this is also a reflection of 'jounal writing', especially when one personality knows he has murdered the other and the body is still where it should be. This is going to a 2 and 3 times listen for me. And my ratings may change upwards. 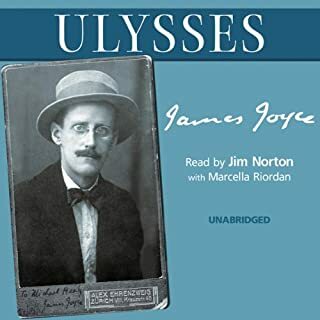 I suppose this is not a story a lot of people will like, so unless you are familiar with his work, and, have an interst in late 19th early 20th century Europe you may not like it at all. 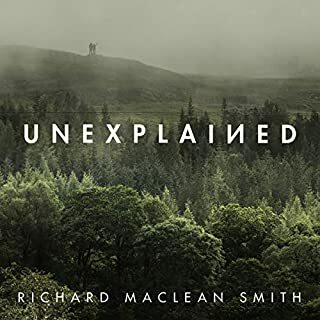 I see this as a return to form - this is, for me, Eco's best work since Foucault's Pendulum; after having more-or-less sworn off him after wading through 'The Island of the Day Before', I'm glad I decided to give the genius responsible for The Name of the Rose 'one more go' via this novel. 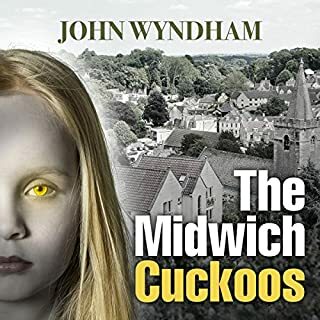 Admirers of Pendulum would recognise much in this account: the erudite history; the arcane knowledge of matters both bizarre and mundane; the disturbing, queasy paranoia. But what really marks this book is the sheer bloody awfulness of the protagonist! 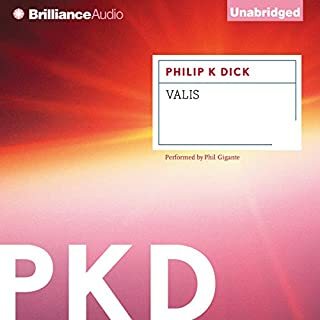 The audible sample's risible, poisonous rant is a great introduction to him - be warned, this man is absolutely appalling, and his repulsiveness is unrelenting, and little relieved in the course of the narrative. If you find the sample blackly comic and strangely compelling you may enjoy the book; if, on the other hand, you find yourself grossly offended this is unlikely to be the story for you. After all [mild spoiler alert], just how repulsive would you expect the author of the Protocols of the Elders of Zion be? Well, at least this awful, surely? 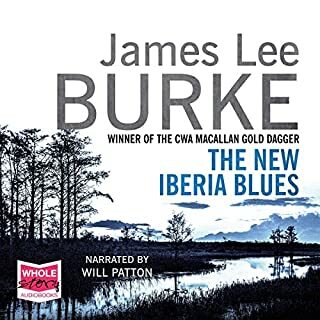 In short, a truly dreadful story, beautifully read by Sean Barrett. The plot was an arduous listen, failed to deliver either a learning or uplifting experience. 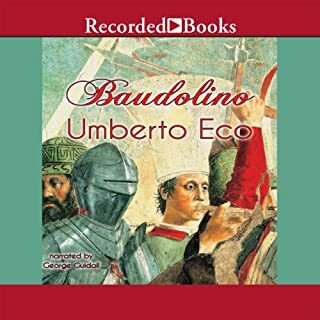 What was most disappointing about Umberto Eco’s story?